The Homeschool Review Crew: Now Taking Applications! The Homeschool Review Crew has been a saving grace for our homeschool for the past three years. I’ve made many friends and discovered loads of curriculum that I probably wouldn’t have otherwise heard of! I’ve filled out my application for the 2017 Crew run, have you? The Old Schoolhouse® Magazine, a resource for support and encouragement for homeschooling families, is printed annually and available in a free quarterly digital format online, or by free app for tablets and phones. The Homeschool Review Crew is part of The Old Schoolhouse® Magazine. The Homeschool Review Crew is a viral marketing network made up of homeschooling families that use, review, and share about home education products. Crew members must apply and applications are being accepted now. What’s it like to be part of The Crew? What kinds of things do we review? In 2016, 75 total reviews were run, including products from some well-known companies like Homeschool in the Woods, Apologia Educational Ministries, Memoria Press, and Math U See, as well as products from lesser-known companies like Rocky Mountain Christian Filmmaker, Foreign Languages for Kids by Kids, Star Toaster, and ArtAchieve. 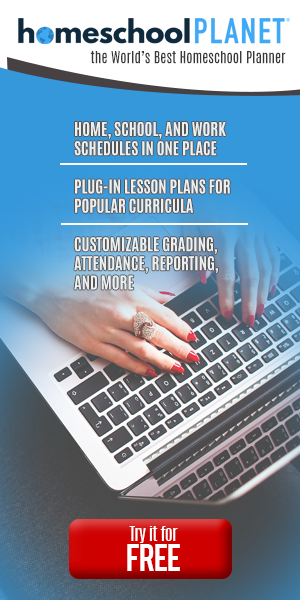 It is possible to review full curriculum packages like Writing with Sharon Watson or a music program from Zeezok Publishing. Smaller curricular items like books from Carole P. Roman or a unit from Progeny Press are also reviewed. And some items, like audio dramas from Familyman Ministries and Heirloom Audio, personal care items from Koru Naturals, or games from Simply Fun and Chara Games, are just a lot of fun! As a Crew Member, you can set your interests and your own limits on how much you can handle. Some Crew members reviewed 60 or more products in 2016. On average, reviewers completed three reviews per month. Is The Crew for you? After making sure you meet all of the requirements, if you believe you would to an asset to our Crew and wish to join us, please read more on our blog, or fill out the application. If you have questions, feel free to email Debra Brinkman.